It's thunderstorm season. Our hearts go out to those who've suffered great losses from tornadoes and storms. In our own neighborhood, roofers are going door to door, offering to inspect roofs for damage from the hail storms we've recently experienced. We haven't had any overt signs of leaks or problems, but after the danger of hailstorms has passed I'll probably have an adjustor take a look at our roof. 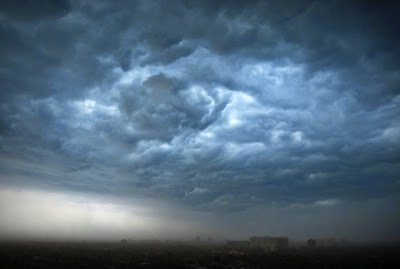 Meanwhile, all this has made me think of a question: Where do we take shelter from a storm? Not a physical storm--we have picked a safe room in the interior of our house for that purpose--but an emotional, spiritual, financial, or other non-physical storm. I've been through a number of storms in my life. Many years ago I lent my name and support to a business run by a close relative. The business failed and its bankruptcy left me paying off debts for years. Where was my storm shelter? After 40 years of marriage, my wife, Cynthia, died rather suddenly. Not only did I suffer the greatest loss of my life, but it was left to me to discontinue life support. Where was my storm shelter? I've been through other storms--professional, personal, financial, physical, all kinds. Where was my storm shelter? In the book I've just finished writing, the hero asks the same question. He's a Christian, which he took to be sort of an all-purpose "get out of jail free" card. His journey is one of the themes of the book. As for me, I go back to the words of Dr. Steve Farrar, who on most Wednesday evenings reminds the men of our church that, "Yes, there's a place called Heaven, and this ain't it." But the other half of that message is that God's in control--no matter what things look like right now. And that's my storm shelter. Have you been through a storm? What's your shelter? When a writer talks about writing lessons learned from TV, often they're talking about Downton Abbey. Well, I don't watch that. (I know...but we don't like it). However, Kay and I enjoy watching Shark Tank, and I've from it I've learned some things that apply to the writing life. I've learned the term "ROI." If the return on investment isn't worthwhile, don't invest. For writers, that means we need to take a hard look at our investment of time in such things as social media. I'm on Twitter and have both a private and a fan page on Facebook. Do I spend too much time on them? Not really. I check them a couple of times a day, often scheduling my own posts, and I try (sometimes without success) to follow the 80/20 (or 70/30, depending on who you read) rule to avoid sounding like a commercial for my books every time I post. With a recent episode I learned about the fight for shelf space in Big Box retailers. For a product to take shelf space, another product gives it up. And the fight is constant. I'm not certain that readers have a limit to the number of authors whose work they'll read, but I do know that publishing houses are constantly assessing sales, adding and dropping authors because they can only support and publish so much work. And sometimes, when one retailer drops your product, you're able to catch on with another one. The same goes for publishing. Look for the books of your favorite author, and you'll find that some of them have had several publishers. Do readers care? From what I've seen, apparently not. Do you care from which store you buy that product you really like? No, you just want to know if it's convenient and priced well. There are lots of other things I've learned from Shark Tank, but I guess the most valuable lesson comes from some entrepreneurs who didn't get a "deal" from one of the sharks. They go on with their dreams. Some ideas are good, and they flourish. Others aren't, and they die. But in most cases, the entrepreneurs didn't get discouraged. I think that's the most important lesson of all--for writers and for each of us in our daily life. Have you learned something from your favorite TV show? Let me know. My publisher is helping me celebrate the release with a Kindle HDX giveaway! Enter today by clicking one of the icons below. But hurry, the giveaway ends on May 11th. Winner will be announced May 13th on this blog. Don't miss a moment of the fun; enter today and be sure to stop by this blog on May 13th to see if you won. 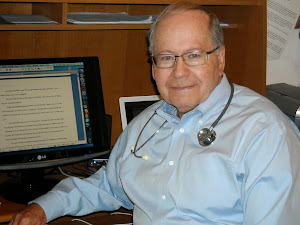 My seventh novel of medical suspense, Critical Condition, launched a week ago. I did a lot of guest appearances that week, and there are a few more coming up this week. 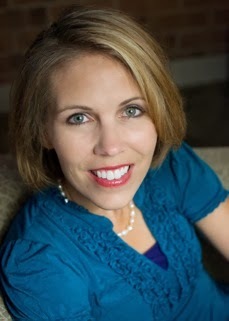 Yesterday, I was a guest on the blog of Margaret Daley and K Dawn Byrd. I'll be on The Borrowed Book blog today and again on Thursday. And for those who want to get a preview of the book, check my website. I'll get back to my normal schedule soon, with a post about the writing life: Lessons From Shark Tank. In the meantime, thanks for your support. Have a great week. Oh, and I have a question for you--what do you expect from a blog? Which ones will you follow, which ones do you delete? Happy Tax Day. Today is also the official release day for my novel, Critical Condition. Lest you think all an author has to do is sit in a room, stare into space, and type words that are magically fed into his or her brain, think again. For the next ten days I'll be seen in more places than Waldo. Here are some of the guest appearances I'll be making. 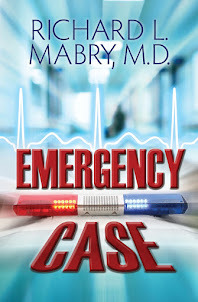 I might mention that if you click on each interview or post and leave a comment, you might win a complimentary signed copy of Critical Condition. And if you're opening this early enough on Tuesday morning, I'll be a guest at 8:25 Central Time on Lou Vickery's radio program, streamed via this link. Make you dizzy, reading about everything? Welcome to the life of an author. On Tuesday, my next novel, Critical Condition, will be officially released. But long before the book hits the shelves at your local bookstore or one of the online book resellers, review copies have been distributed. The publisher sends out Advance Reader's Copies (ARCs) a couple of months before the release of the book. Some ARCs go to individuals who have been asked to consider endorsing the book. Others go to publications (such as Romantic Times Book Reviews and Library Journal), as well as selected reviewers. They also are sent to individuals whom the publisher and author hope will help spread the word about the book--these are the "influencers," although the more recent term seems to be "street team." And a few ARCs are sent to the author for his/her own distribution. How many ARCs are sent in this process? That varies with the publisher and the circumstances. About two weeks before the official release of the book, about the same time it is shipped to booksellers and distributors, the author receives his/her author's copies. Again, the number sent is a function of that author's contract for that book--it may be just a few, it may be fifty or even more. One thing is certain: it's never enough. I also try to give my readers a preview of my work before it's officially published. If you'd like to read the first couple of chapters of Critical Condition, you can do so on my website. Or, if you'd like to hear me read the first five minutes of the book, click here for the Take Five site of the Southern Writers Magazine. I've discovered that pre-ordered books are sometimes sent even before the published deadline. 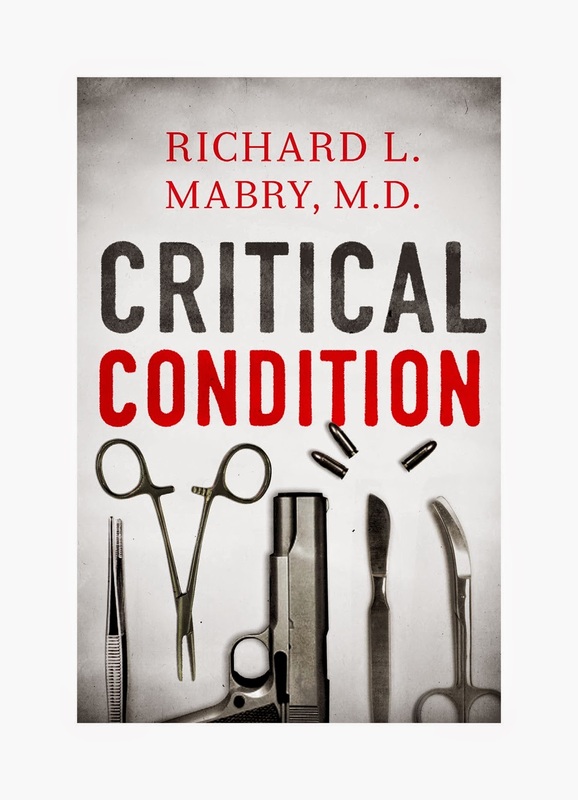 If you've pre-ordered a copy of Critical Condition, I hope you get it soon, read it quickly, and enjoy it. If so, please tell others. If not, let me know. I'm always trying to improve my writing. Did you know all this about ARCs and review copies? Do you have questions about the process? What aspect of the writing life would you like to hear about next? I'd love to hear. 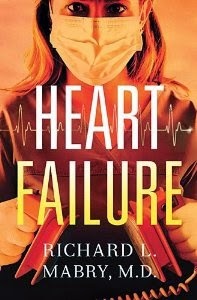 From now until April 21, my novel, Heart Failure, is specially priced at $2.99 for the e-book version at Amazon, Barnes and Noble, Christian Books, and iTunes. For those of you who use an e-reader and haven't yet read that book, I'd encourage you to try it. You may also wish to let your friends know about this special offer. All this, of course, is in preparation for the release on April 15 of my next novel, Critical Condition. I thought I'd use this opportunity to share with you some reviews of that novel. I hope you, my readers, will like it as well. SPECIAL NOTE: Congratulations to Joyce Guard, who won a copy of one of my books in the contest I held during the Scavenger Hunt. And for those of you who found the contest already closed a bit early, my apologies. I made an error when I set the parameters via Rafflecopter. But come back again--I'll be holding another contest soon. Thanks. Welcome to the multi-author Christian fiction scavenger hunt. The hunt officially begins at noon Mountain Time on Friday, April 4. (The post is up before then so the hostess can check links). The end stop is robinleehatcher.com and is over at midnight Mountain Time on Sunday, April 6. HERE'S HOW IT WORKS: You have all weekend to visit the sites and collect each clue, which is IN RED at the end of each stop. International entries are accepted. First prize is a Kindle Fire HDX and $100 gift certificate. Two runners up will each receive copies of all 32 of our books. We have prepared a page with direct links to each author's post in case a site goes down or a link gets broken. We'll be working on getting all of the links prior to the start of the hunt, but sometimes there are still issues even after the hunt starts, so make a note of the URL for the Participating Authors & Stops page so you can check back and be able to complete the hunt. As any author will tell you, no matter how much we love a scene, sometimes they have to be cut. The following is part of the first one I wrote for Scott Lindstrom, the hero. I love the personality and fortitude he demonstrates. However, the more I researched, the more I realized...the Monuments Men weren’t established in Italy in February 1944. It just wouldn’t have been possible for him to be there. Yet, arguments like this raged before the Allies bombed Monte Cassino. Historians continue to debate whether it was justified. I tried to capture both sides in this scene. Scott strode to the front of the room, the words fresh on his lips. Maybe he’d left all his common sense in Washington. No, he’d just decided to fight for the things that mattered since Elaine had left him at the New York City pier. He marched deeper into a debate best left to the generals. One more moment in the middle of a war that left Scott praying for the courage to voice what no one in the crowded war room wanted to say or hear. This exemplified why he’d abandoned everything he’d built in Washington, D.C., for a war zone. “Excuse me, soldier. Did I hear you correctly?” The one star looked at him, jaw firm and unyielding. “That monastery has stood since Saint Benedict first moved there in 528 A.D.” Scott swallowed, but firmed his stance. This was too important to waver, even if these exact types of actions were what had caused his fiancée to hand back the ring when he enlisted. She’d called it foolhardy. He called it committed. What else could he do? Chase her when the Army said move? “My men can’t be replaced either.” The man chewed his cigar at a furious tempo. “You can’t be serious.” Scott paced as his frustration escaped his slim hold. How could he get them to understand this pile of stones was an ancient monastery of immeasurable worth? Whatever a person’s religious convictions, one couldn’t ignore the rich history it had experienced in no small part due to its proximity to Rome, the seat of the Catholic Church. “Lindstrom, have a seat.” The British voice was clipped and insistent. If you’d like to read more of this scene and others that were cut, go here. I hope you enjoy reading them and some of the material behind the scenes on why I didn’t include them in the final book. And here's a brief video about the book. 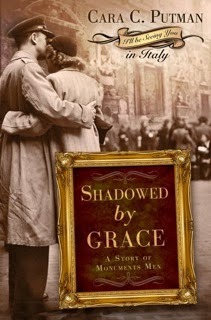 IF YOU WANT TO BUY THIS BOOK: You can purchase Shadowed By Grace at Amazon, Barnes and Noble, Christian Books, or your favorite independent bookseller. AND THE SCAVENGER HUNT SKINNY: Thanks for stopping by my blog--I hope you'll come back again. Before moving on to the next stop, Cara's own site, to read what her guest has to say and pick up another clue, be sure to write down this Stop #7 clue: "WHAT BOOKS." And thanks for participating in the Christian fiction scavenger hunt. First, let me say that I'm a bit too old for April Fool's jokes. Sorry, but there are none in this post. This story took place before 9/11, and was a lot funnier then, but I still smile about it. My friend David was at DFW Airport, about to leave on a business trip, when he saw our mutual acquaintance, Jack, walking by. Not wanting to get out of line, David called in a loud voice, "Hi, Jack!" David did not make his flight on time. But this post isn't about hijacking in the sense of taking over a plane (or boat or bus or whatever). It's about hijacking a conversation. How does one go about doing that? There are several ways. Are there people in your Sunday school class who seem to repeatedly get into a long dialogue with the teacher? Sometimes the questions are valid, but unfortunately there are other instances when it's just to show off how much they know (and sometimes to reveal how little they know). They're hijacking the teaching time. 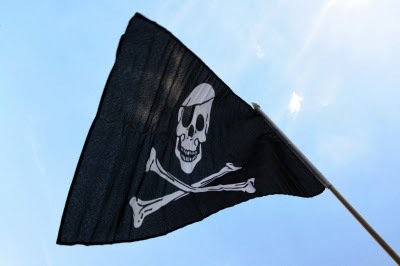 Blog comments can be hijacked. One particular writing blog I follow has a fellow who absolutely loves to respond to every comment left, even when it's fairly obviously directed at the woman whose blog it is. Why? Often for the same reason as above. Someone can hijack a private conversation by butting in. It's possible to hijack a group activity by taking it over. The possibilities go on and on. How about you? Have you been on either end of this activity? I'm guilty, and I'm trying to do better. Now I've voiced my opinion--I'd love to hear yours. And I promise not to accuse you of hijacking the comment section if you do. 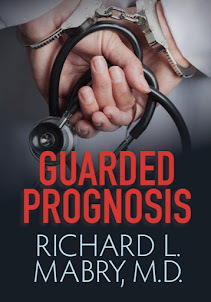 SPECIAL NOTE: With the forthcoming release of my next novel, Critical Condition, I'll be appearing on a number of blogs with interviews and guest posts. 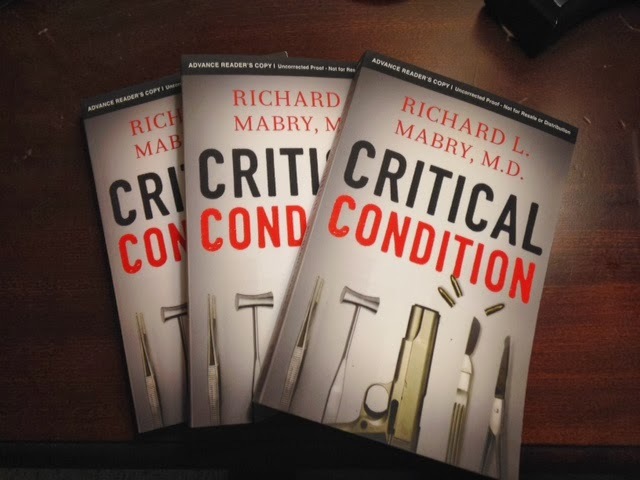 Watch for those, because most will include a chance to win a copy of Critical Condition. Meanwhile, check out this story in The Big Thrill Magazine, from the International Thriller Writers. If nothing else, read the first couple of sentences. Love what the writer, Gary Kriss, did there.